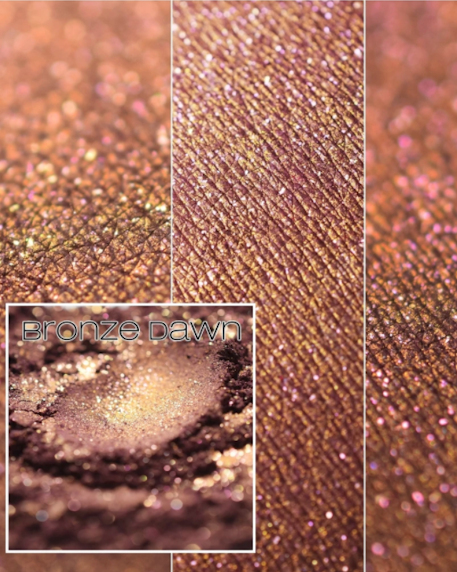 Bronze Dawn is a hard color to describe. 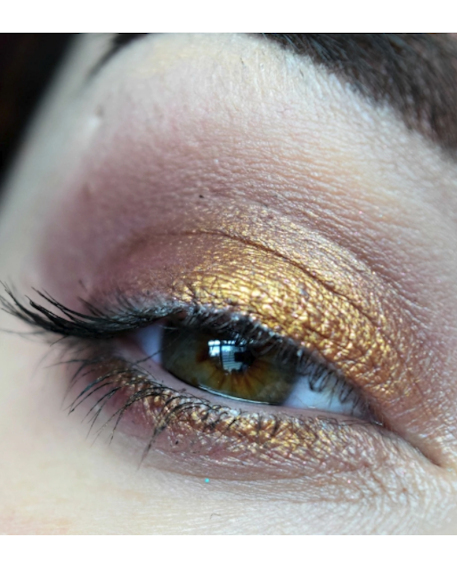 It’s kind a ruddy pinky mauve base with strong gold sheen especially when foiled and generous amount of pink sparkles. This was so hard to photograph and as hard as I tried I couldn’t really get the mauve to show in photo’s. If you apply it dry over your normal primer you will get more a mauve with a soft gold sheen but foiled the gold really comes out which lends itself to a more bronze/gold shade. Ingredients: Mica, Carnauba Wax, Bronze Powder, Silica, Calcium Aluminum Borosilicate, Tianium Dioxide, Tin Oxide, Carmine, Ultramarines, Iron Oxide and Magnesium Myristate.